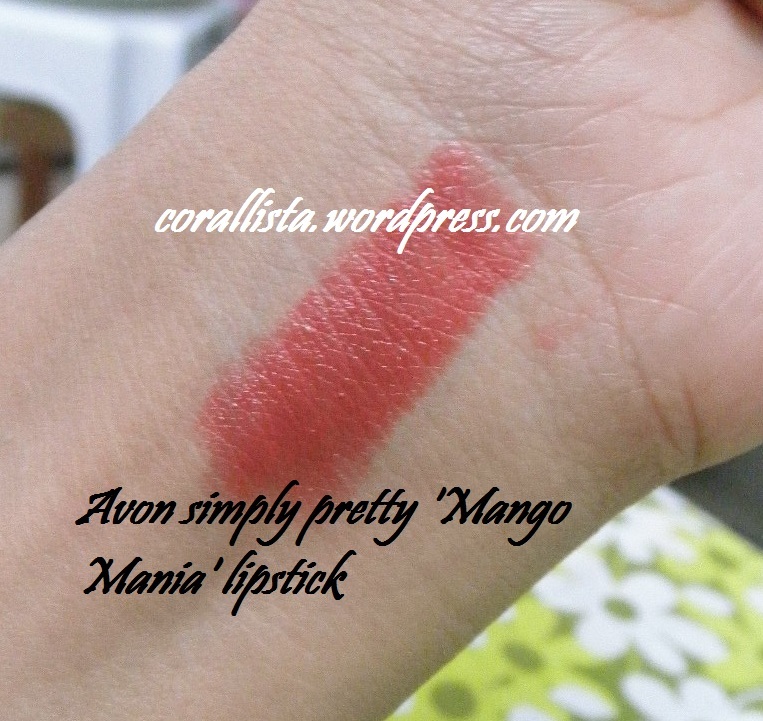 Posted on May 31, 2011, in Avon, Lips, Nails, Product Reviews and tagged avon lipstick review, avon product review, avon simply pretty champagne shimmer nail paint, avon simply pretty lipstick, avon simply pretty mango mania, brick colored lipstick, coral brick lipstick for all skin tones. Bookmark the permalink. 42 Comments. I love the theme! 🙂 and mango mania. I want to see mango mania nailpolish! Even I have been lusting over this shade for a while. I think for the price the lippies are a steal. 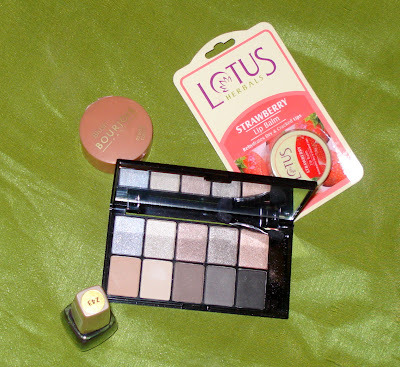 hey, I have the champagne shimmer and its my all time fav color as well. 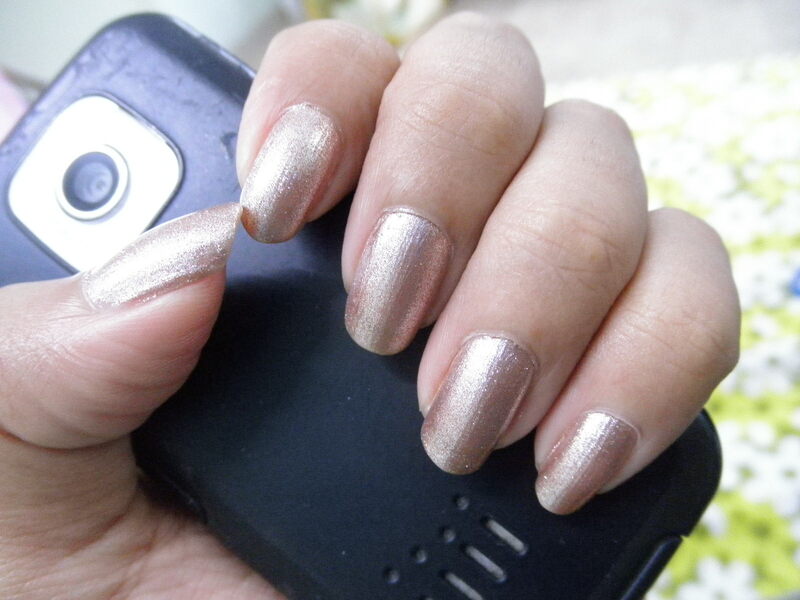 Just love the shimmer and the color!! 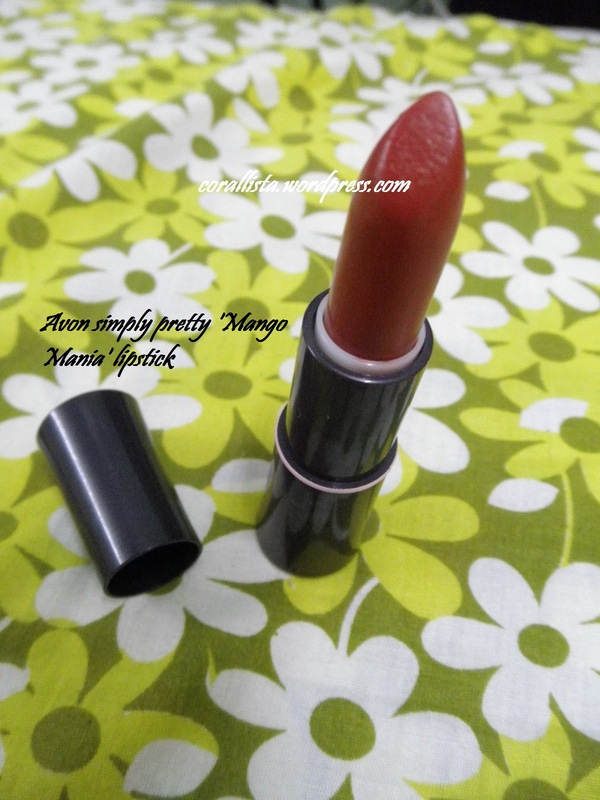 Mango mania is one of the prettiest shades I have and it looks so great in the summers. 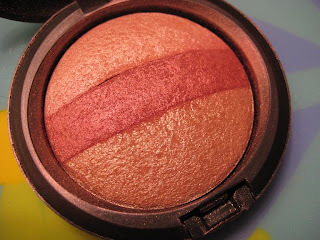 Agree abt champagne shimmer! Any other favorites from Avon? woww simply loving this shade!!! ill defntly order this one from jinal even though i ahve dry lips im dying to have this shade!!! 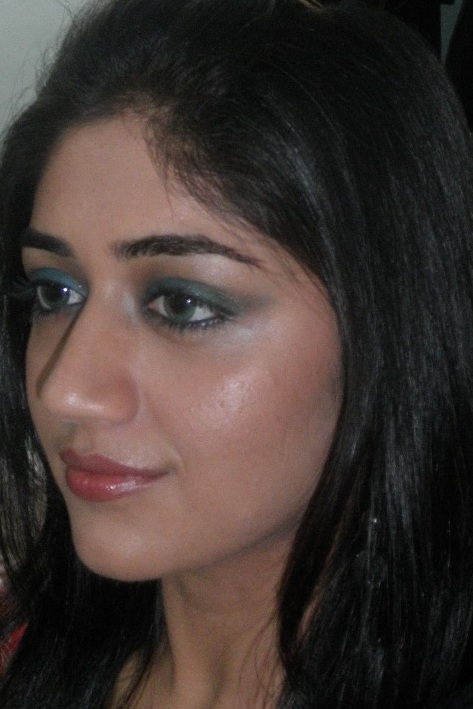 Its very pretty Neha! You’ll love it! 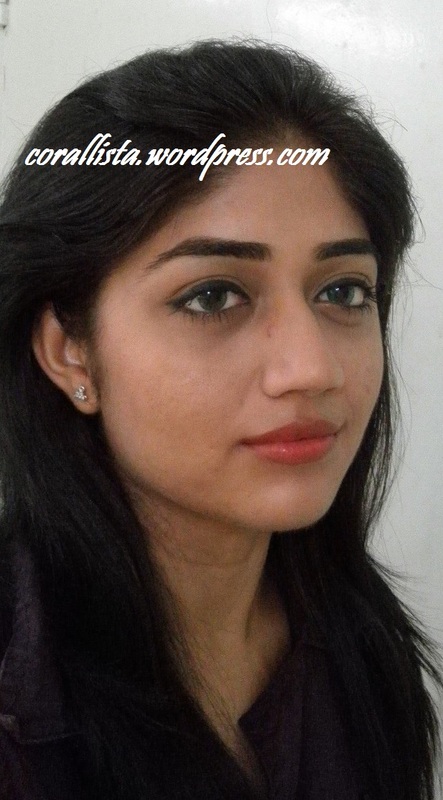 I think I’m getting this lipstick…this is the colour I was talking abt! Ohh..I thought u were talking about a pinker shade. But you’ll love this..it gives such a lift to the face! Its not so orange Shivani..In fact if you want to try something orangey, this would be a really great choice! Love both the lippie and the polish. I like how even the nail polish is in shade and shimmer! Hi Shai, its a very popular shade from Avon- both the lipstick and the nail paint. Have you tried anything from Avon yet? I’m thinking of getting a back up too 😀 Ok, I’ll try Darling mauve. Any other reccos? 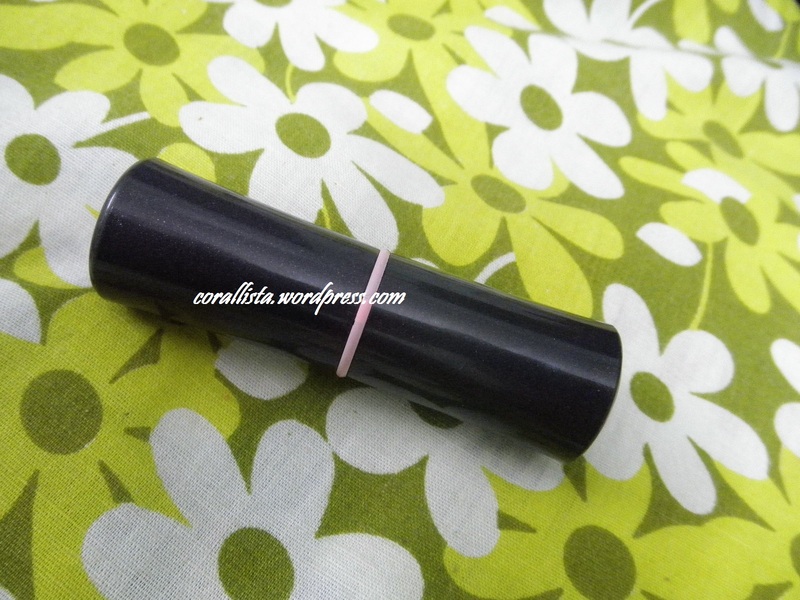 ankita check my reveiw on ten (or less) simply pretty lippies on imBB…. I love this shade. And I love Avon 😛 Anything in particular u like from Avon? 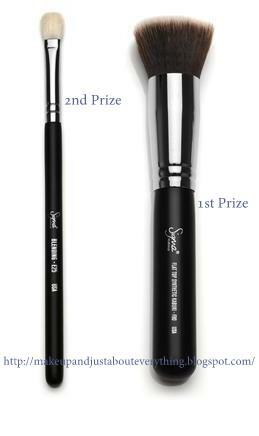 Have you tried LBD from Avon…? The fragrance is just heavenly….!!! 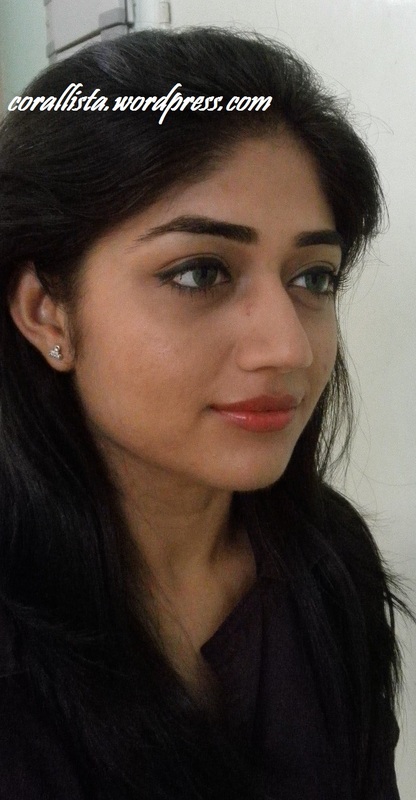 NYX tea rose is very close to Chambor silk touch ‘Silk Pop’. Its not a very subtle shade actually. If you’re looking for a dusty rose shade, I think there are some in Maybelline moisture extreme by name of Dusky rose or Windsor rose. Revlon super lustrous ‘Rose Velvet’ is also very pretty. 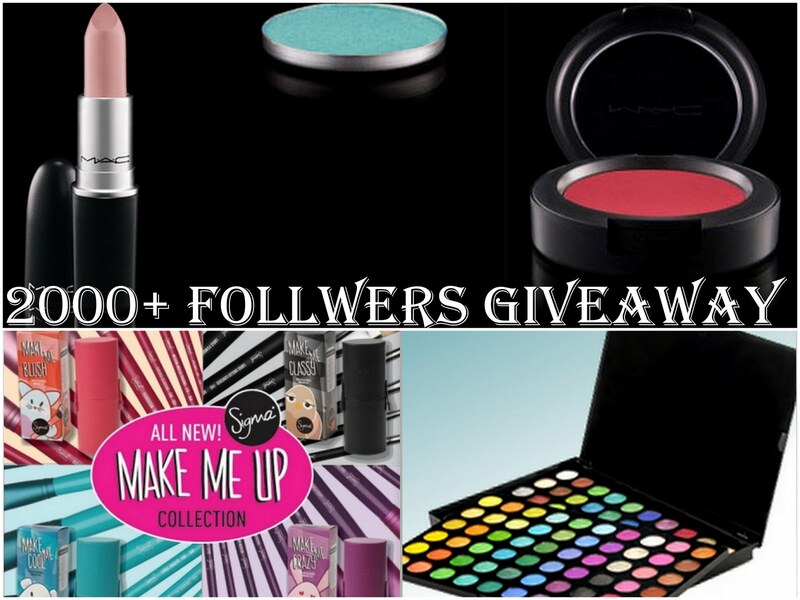 thanks… will chk these out…. This theme looks really good than the old one…i really liked this and hope more changes comes on the way to make it more livelier…..
Nice review ..i loved the nail paint…i so want it!!! how can i find the avon rep!! Thank you so much Dhanu, I was really looking for feedbacks on the theme. Glad you like it 🙂 The nail paint is really gorgeous. Which city do u stay in? Maybe I know someone who’s an Avon rep. Let me find out. And good change in the template Anki..it is more peppy..